About AgUARDIAN | Sommers Plastic Products Co. Inc. Deadly infections with bacteria that resist even the strongest antibiotics are on the rise in hospitals in the USA. There is only a “limited window of opportunity” to halt their spread, health officials warned. The collection is available in many designer colors and grains ideal for contract upholstery through Sommers' network of distributors. AgUARDIAN® can be found in diverse end-products like lead X-ray aprons, table placemats, diaper bags and odor-free, orthotic shoe inserts. AgUARDIAN® was first introduced in 2007 at Neocon in Chicago. The market it was initially aimed at was contract upholstery. 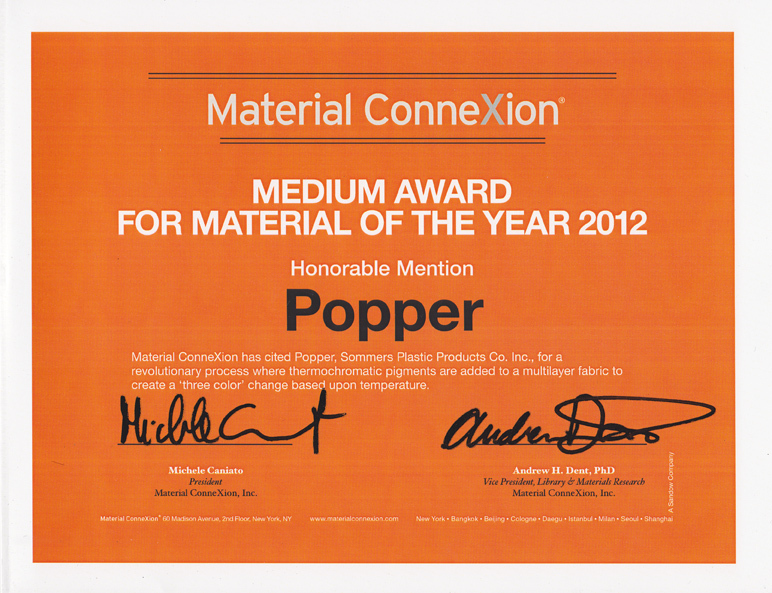 Sommers’ distributor, CF Stinson, won gold for Healthcare Fabrics in the prestigious, “Best of Neocon” award at the launch. Later garnering the coveted “The Nightingale Award,” for Advancement in Healthcare, a first for any material. 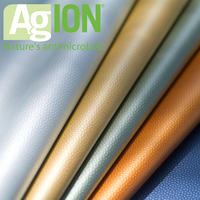 Other companies soon followed adding Sommers’ AgUARDIAN® silver-ion upholstery polyurethane to their running collections. The germ of the idea for AgUARDIAN® began during the 2005 holiday season. Sommers’ received a unique, corporate premium gift in the mail. It was a small, square, adhesive pad meant to be placed on the telephone where the mouthpiece rests. 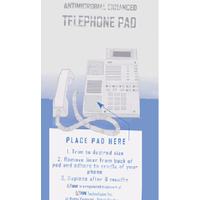 The package said, “Agion antimicrobial is built into the pad to suppress the growth of damaging bacteria.” What a great idea for phones. Why not for plastics? The recent spread and fear of diseases contracted through exposure to MRSA, SARS and H1N1 gave sufficient cause to make the idea and subsequent R&D a priority. Finding new and effective germ-fighters to save lives was a worthy goal rising above other Sommers' novelties of “fashion-engineered” specialties. A phone call to Agion Technologies in Wakefield, MA, proved very informative. Their breakthrough formula was FDA-listed and EPA-registered in all 50 states. It was being sold for many various manufactured products but not yet for our ideal application-polyurethane upholstery. A foil envelope arrived from Agion the next day. It was overnighted to Sommers’ polyurethane mill in Korea for lab work and to be tested at different loads (concentrations) to determine the optimal levels to defeat microorganisms like bacterium, viruses and mold. Bio-testing would subsequently be performed on the polyurethane to determine changes in populations of microbes-e coli, staphylococcus aureus and streptococcus pneumonia over time in comparison to control swatches. The silver-ion powder is activated on the surface of the material only when it is touched by human hands. Unlike traditional antimicrobial pesticides such as triclosan, Agion does not leach out of soaps, paints, water dispensers and other end products. Thus it will not weaken over time or leach into aquifers jeopardizing the health of humans and the ecosystem. Silver is safe. Unlike triclosan it does not foster antibiotic resistance-“superbugs.” Triclosan is found in mouthwash, soaps, toothpaste, toys, and ubiquitous hand sanitizers. It is thought to be dangerous for human health. Recent studies indicate triclosan may even cause muscle weakness. Knowing that silver in ionic form destroys microbes on surfaces meant it would be unnecessary to mix this expensive ingredient throughout all the plastic layers. It need only be embedded within the thin, outer polyurethane skin .001-.002 thick. Adding Agion to the master batch of PU resin destined for the surface skin concentrates the effect while remaining cost-effective. Finished lab samples were returned to Agion Tech for bio-analysis. Astoundingly, they tested off the charts in reducing bacteria and viruses...over 99.9999%! Germs could not live on the plastic. Sommers dubbed the miracle polyurethane using the chemical symbol for silver Ag. AgUARDIAN® (pronounced Ā Guardian) was born. 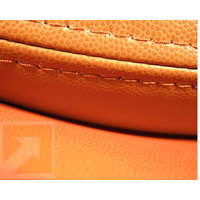 The name was trademarked, patents applied for and customers eagerly opened their arms for this new antimicrobial material. Sommers incorporated silver-ion antimicrobial into polyurethane for a number of reasons. Silver is a naturally occurring element proven safe and effective in fighting a wide range of microbes. Known since ancient times that silver kills germs, Greeks and Romans used silver coins to disinfect drinking water. Unlike antimicrobials commonly used today, silver is a natural, inorganic substance environmentally friendly with no toxic effects on people, plants or animals. It is less toxic than common NaCl-table salt. ⇶ Silver in ionic form is embedded within micron-sized carriers, either zeolite or glass, then encapsulated into durable, soft polyurethane surfaces. 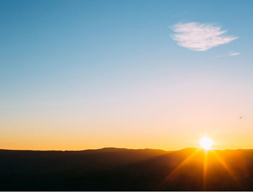 ⇶ Moisture in air or direct contact with moisture, like a sneeze or the touch of human hands, activates the release of silver ions to the surface at a slow and steady pace insuring effectiveness for the lifetime of any end product. ⇶ Trimodal action-Silver ions continuously combat microbes in three ways avoiding the creation of "super-bugs"
3. Blocks cell division (reproduction). This trimodal attack is what makes AgUARDIAN® a broad-spectrum antimicrobial material against difficult-to-control, multi-resistant, bacterial strains such as MRSA. The success of silver ion-exchange technology in antimicrobial polyurethane fabric soon spawned other commercial successes. 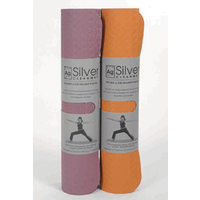 Sommers produced the world’s first, silver-ion antimicrobial yoga and pet mat.